Do you have a super strange collection? I collect dolls from scary movies. These dolls aren't nearly as scary as those creepy porcelain dolls. I've heard dolls were made to hold spirits back in the olden days. I don't know if it's true but that's pretty spooky. 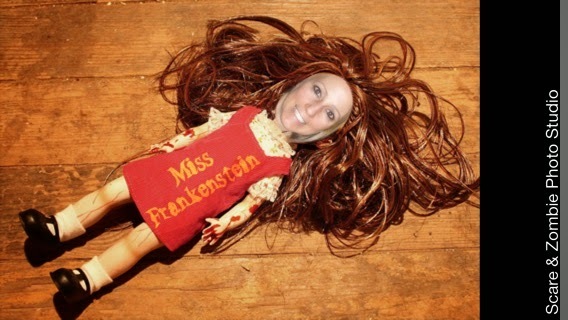 Here's me as a creepy doll. 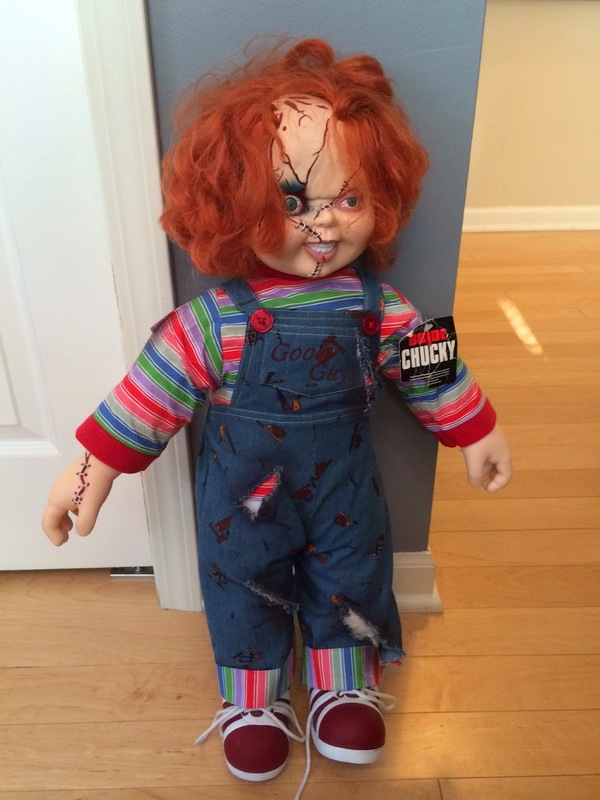 My brother in-law, nieces, and nephews gave me a life size Chucky doll for my Birthday. I've had so much fun placing him around the house and scaring my daughters with it. I've had him in the shower, under their beds, and in their beds. He does hurt when someone throws him at you while your sleeping. 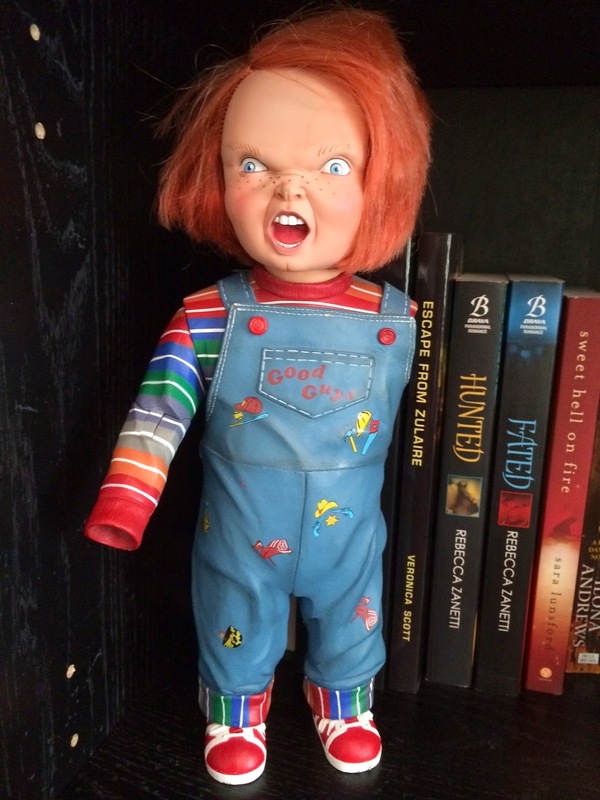 Here's my mini-Chucky. He's missing a hand and an arm because he took a tumble down the basement stairs. My daughter got mad when I scared her and her friends with him. He chants when you push the button on his back. He's also the perfect size to put in the refrigerator to scare daughters when they get up in the middle of the night for a drink. 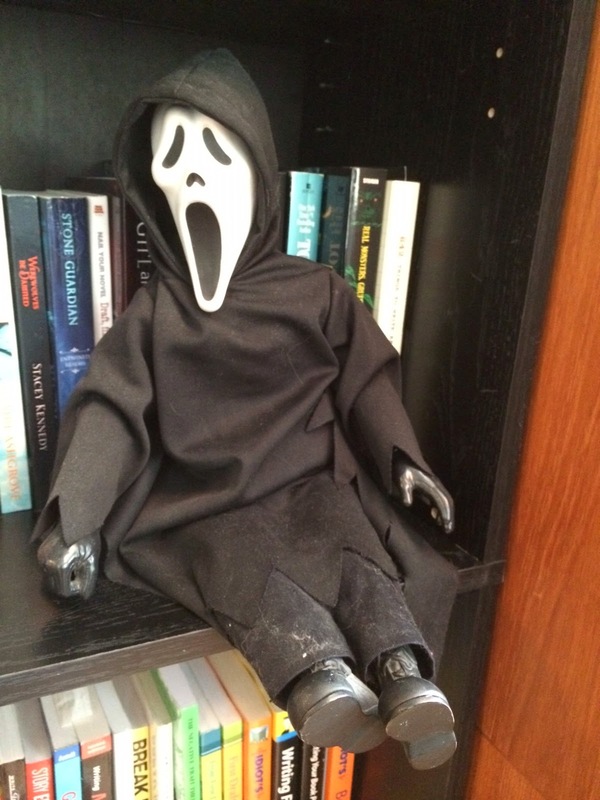 Here's my Scream doll that doesn't carry the same creep-factor as the Chucky doll does. I think he's cool anyways. I've been searching for a Trilogy of Terror zuni doll. They have them on e-bay but they're super expensive. Same with a Troll doll from the movie Cat's Eye. Both are on my wish list. Do you have any weird collections? Please leave a comment.